Picaridin vs DEET: Which Is the Best Insect Repellent? Ryan SmithPicaridin vs DEET: Which repellent works best for your needs? For more than 50 years, DEET has reigned as the undisputed champion of insect repellents. No longer. There’s now a potentially better alternative on the market: picaridin. Both DEET and picaridin are proven to be effective at fending off mosquitoes—and are superior to other repellents when it comes to protection time. But which one is really the best? Who will win this face-off of the buzzer beaters? Developed by the U.S. Army in 1946, DEET (N,N-diethyl-m-toluamide) is a synthetic chemical that provides one to six-plus hours of complete protection against mosquitoes, depending on its concentration. DEET has been used billions of times by hundreds of millions of people (including an estimated 30 percent of the U.S. population each year). When properly applied, it has virtually no proven adverse health effects, though in rare cases a contact skin rash can result from exposure. The EPA has completed several comprehensive assessments of DEET over the years (most recently in 1998) and concludes that repellents containing DEET do not present a health concern as long as consumers follow label directions. Visit the AMC Store for our top picks for 30 percent DEET insect repellent and 95 percent DEET insect repellent. Studies have shown picaridin to be as effective as DEET in repelling mosquitoes. Unlike DEET, however, picaridin is odorless, non-greasy, and does not dissolve plastics or other synthetics. The one possible concern with picaridin is its relative newness. Insufficient time has passed for long-term health risks (should they exist) to manifest themselves. 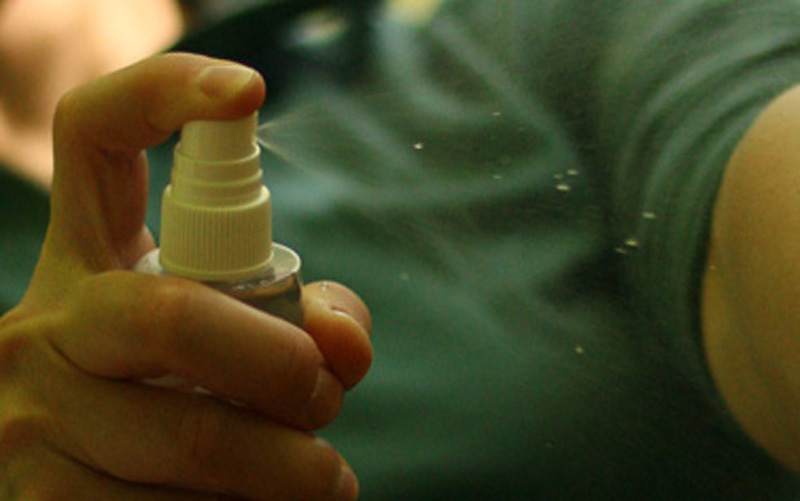 A limited, but growing, number of repellents contain picaridin, including Cutter Advanced, Sawyer Premium, and Repel Smart Spray. Visit the AMC Store for our top pick for Picaridin-based insect repellent. The percentage of DEET or picaridin in a repellent determines its protection time, with higher concentrations offering longer protection. DEET is available in concentrations from 4 percent to 100 percent; picaridin levels range from 7 to 20 percent. A landmark 2002 study in the New England Journal of Medicine compared the efficacy of DEET at different concentrations and found that the duration of complete mosquito protection ranged from one to two hours for concentrations between 5 and 10 percent, four to five hours at around 20 percent, and only marginally longer up to 50 percent, with no improvement at higher levels. “Slow-release” formulas can extend protection time to eight hours or more. When it comes to picaridin, recent studies have indicated that a concentration of 7 percent is equivalent to about 10 percent DEET (one to two hours of protection), and a 20 percent concentration offers the same protection (four to five hours) as an equivalent DEET concentration. Few studies have evaluated the relative efficacy of DEET and picaridin in fending off ticks, black flies, sand flies, no-see-ums, midges, and other biting insects. Available evidence indicates that picaridin and DEET are both effective at repelling black flies, while DEET is more effective at preventing tick bites. Conversely, picaridin seems to be better at repelling other biting insects, notably no-see-ums. The insect composition of your travel destination—and perhaps some personal field tests—will determine which repellent works best for your needs. Find a variety of insect repellents—including DEET, picaridin, and natural/herbal formulas—in the AMC Store.